Updates to Shirley J's profile since your last visit are highlighted in yellow. Shirley J Schneider Chmielowiec has a birthday today. New comment added. Shirley J Schneider Chmielowiec has a birthday today. Shirley J Schneider Chmielowiec has left an In Memory comment for Daniel C. Flanakin. Always sad to hear of a classmate's passing. My condolences to his family. May he rest in heaven. 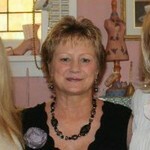 Shirley J Schneider Chmielowiec updated profile. View. Shirley J Schneider Chmielowiec added a comment on Profile. Shirley J Schneider Chmielowiec posted a message. New comment added. Hi there -Shelly Londoff and I are visiting in Michigan and looked at your profile! You are still stunning!